for allowing me to post another one of her powerful articles. God’s aim and purpose is always for restoration of men to Himself. When he does a miracle or a deliverance for example, it is not solely for the benefit of the person being delivered, but for the greater good of ALL the masses, with the purpose of glorifying Himself and His Kingdom. The book of Acts records that the apostles were thrown into prison by the high priest of the Sadducees, and God allowed it. They came out of the prison, miraculously! The doors remained locked on their exit and they were not seen of the guards. Surely in the early morning they were seen preaching the gospel to those in the temple. Their miraculous escape was not only a marvel to the apostles themselves, but to the Sadducees and also the multitude in the temple who heard of the testimony. This act was done for the greater benefit of all. 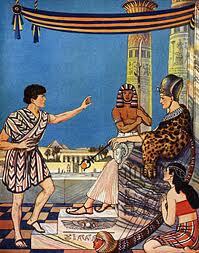 Further in the Book of Acts we read that Aeneas was laid up sick of the palsy for eight years. 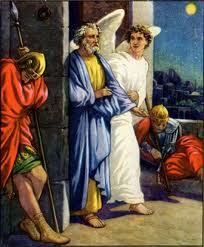 His sickness prevailed until Peter came to him and healed him of his condition. Again, the greater miracle was that all the people of Lydda and Saron who saw him healed got saved. With one deliverance we see the Lord bringing a multitude to Himself. 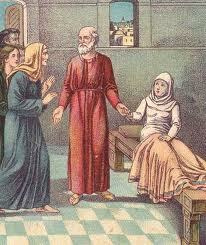 Another example was when Dorcas was raised from the dead in Acts 9:36-42. The greater miracle was that many in the region of Joppa believed on the Lord after hearing Dorcas’ testimony. The Lord Jesus came to the earth and ministered for three years. His death and resurrection was for the benefit of the whole of mankind. His crucifixion and resurrection was purposed for the salvation of whosoever believed on the name of Jesus. 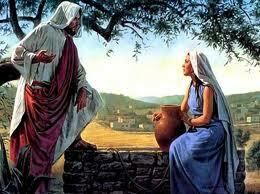 Look at the woman at the well, when she met with Jesus in John chapter 4. 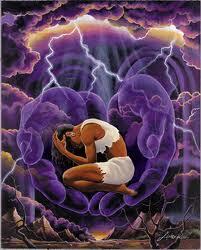 Her deliverance was not for her benefit only. As a result of this singular event God managed to bring almost the entire city of Samaria to Jesus. Again, the occurrence of one event, tailor made for the greater benefit of the multitude. We can even see this in the Old Testament when God was dealing with the rebellious Jews in the Book of Numbers 16. Even though the Israelites did not get it, the death of Korah and all those who died with him, served as a testimony to those who were witnesses, so as to bring the fear of God to them and to propel their obedience to God’s Word. We may view the incident as tragic, but it was an event to bring the greater good. Joseph's brothers ill treated him, and he spent time in prison for a crime he didn't commit. However, the Book of Genesis records that he eventually was promoted to second in command to Pharaoh so that his family, the twelve tribes, could be fed in the time of the grievous famine. This also served to bring restoration of himself and his family. Similarly, you may be imprisoned at this present time by sin, sickness, poverty, low self esteem, addictions, trouble with children etc. This does not mark the end for you. The Lord has a greater purpose for you even in your condition. If, when you go through your wildernesses, you would persevere with the Lord, you will see the greater good of the testimony when you overcome the very situations. God does not allow bad events in your life because He wants to punish you or because He is evil. He has a greater purpose for your testimony. During your trying state keep your focus on the Lord, knowing that His thoughts toward you are always good so as to bring you to an expected end - Jeremiah 29:11. Remember that God’s intent is always to draw men to Himself. That is why He sent His Son Jesus. God’s purpose for your life goes beyond what you can see at present. When He delivers you, your testimony is designed to deliver others, but you must first be an overcomer. 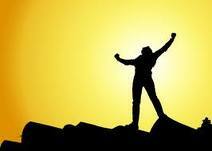 You cannot free anyone if you are bound yourself, and to be an overcomer you must have some things to overcome. This is God’s method and He will not change. The key is to stay in love with Jesus and keep your focus on Him in worship with the knowledge that He is always right. In that place you will keep your peace and your joy, and thus gain the strength to go the distance while the problems exist. In this way you will ultimately bring glory to the God of the heavens and the earth as He continues to work in and through you. This is so encouraging. We are going through major changes now. Love this - I'll claim it for me! "God’s purpose for your life goes beyond what you can see at present. " I needed this, and will re-read it many times. Thank you, Jesus. Praise God! This was written since 2008, but God has now released it to be posted......just for you and many others. Be blessed! "God’s purpose for your life goes beyond what you can see at present." An important truth to remember! Thank you for such an inspiring post. Beautifully written. Oh, I just saw that this was originally written in 2008 and released to be posted......can I share that through this the Lord is still leading me in an exciting direction. Something I have always wanted, so I keep asking Him to "show me this is of your will, Lord, not mine". Thank you and blessings on your week. Great examples of God using evil for good. We don't always see his purpose when things are not going the way we think they should. If we look back on them, we can always see how this is true. At least that has been my experience. Thank you so much for this encouragement and for linking up at Leaving A Legacy!